Those who have been to Argentina will surely agree that dulce de leche is an instantly acquired taste, and have probably taken some back home with them. Now we challenge you to try making your own! Begin by bringing the milk and sugar to a boil on a very low fire and stirring constantly. Slowly add the dissolved baking soda and vanilla, continue stirring. Continue to cook until it acquires the typical brown color of this dulce de leche. (It will take approximately 2 hours). 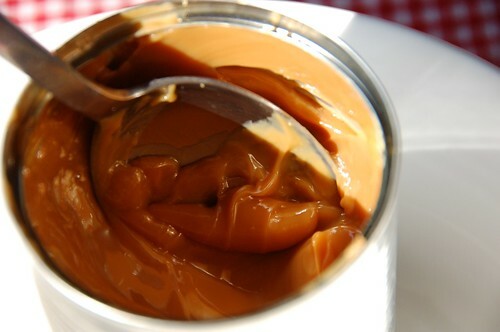 Let us know how it went and how you like to eat your dulce de leche the most! For those of you who prefer partying options that don’t involve excesively loud electronic music and huge nightclubs, or for those who are looking for some alternative fun, these three venues are worthwhile checking out! El Living is a resto/lounge-club recreating a living room feel with lamps, couches, retro TVs and screens on which video clips and film clips are screened. The main room usually features classic 80’s and 90’s rock music whilst The Green Room has a more varied play list, both with vjs and a cool laid back atmosphere. This is definitely the place to go if you’re not that into heavy clubbing but still want a great late night out in the city with good music and a lively buzzing scene. This small disco, funk and soul nightclub opened in 1958 and has been kept alive by its owners ever since, evolving with the times and fashions until the 70’s and 80’s where they decided to remain. Now a day, the same vinyls from that era are spun for a fun loving crowd that dances uninhibited on its funky lit up dance floor on Saturdays. The psychedelic decor of the place also maintains the now retro style that was once the latest trend making this club an off the beaten path experience in itself. The Podesta is a popular club in Palermo with two seating and dancing areas where you can both move to 80’s, 90’s, classic dance tunes and moderate electronic music on the top floor, or sit down for drinks and chat with friends. The crowd is as cool as the place, which meshes both upbeat fun with laid back comfortable. Open Fridays, Saturdays and Holidays. 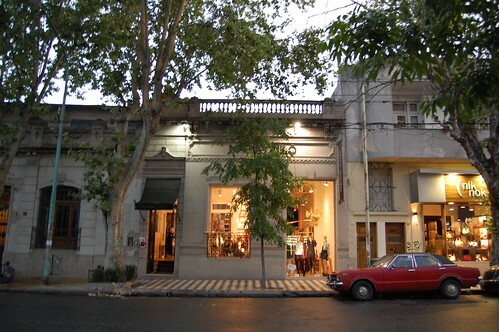 Buenos Aires is one of South Americas fashion and design capitals. Whether you’re looking for independent design, a one of a kind antique, an original gift or a new leather jacket, you’re sure to find something to suit your style, the question is where to go for what. We’ve put together a small guide with some suggestions so that you can take it from there. The main shopping malls in Buenos Aires are Alto Palermo Shopping in Palermo, Galerias Pacifico on Florida Street, Patio Bullrich close to the Retiro Train Station, Paseo Alcorta close to the MALBA, and Abasto in the Abasto neighborhood amongst others. Of the mentioned shoppings we recommend you go to Galerias Pacifico as it is a unique building with beautiful murals and architecture where you can take an audio tour on Mondays through Fridays from 11.30am-4.30pm.. Here you will also find a store called Casa Lopez, which offers top quality leather products, and Lopez Taibo an amazing shoe store that also sells great purses. There are three main shopping Avenues in Buenos Aires: Av. Santa Fe, Av. Cordoba and Av. Cabildo. Av. Santa Fe is where the Alto Palermo Shopping is located and is one of the main shopping areas in Buenos Aires offering mostly local clothing and shoe brands, Av. Cabildo is the Belgrano version. On the other hand on Av. Cordoba in Palermo you can find all the outlet stores, so if you’re looking for bargains and clothes from other seasons, that is where you will find them. More outlet information here. 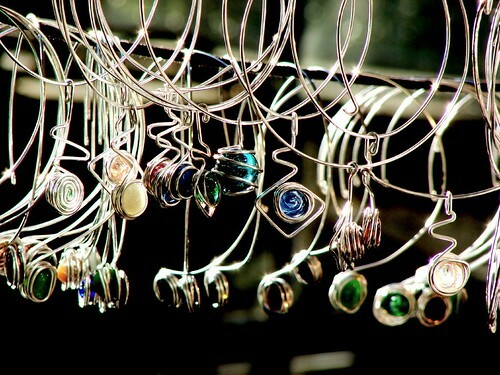 The best place to go for independent design is undoubtedly Palermo Soho. The area around Plaza Serrano, on Honduras street, Armenia, Borges and Gurruchaga to name a few are lined with amazing boutiques and shops of all sorts be it for clothes, books, or furniture. Additionally, if you go to the plaza on a weekend you will run into the independent design fair which showcases some of the new comers designs at very cheap prices. Some of the places we recommend are: Lucila Iotti for shoes, Pesqueira for feminine playful clothes with lovely prints, AY not dead for trendy urban design, and Pehache 1418 for interior design, amongst so many others. Find more information on where to go in the Palermo area here and maps of Palermo places to eat and shop here. Antiques are one of the city trademarks. The main place to go is San Telmo, where you can find lovely stores amidst quaint cafes, and visit on s Sunday to experience the antique fair. Other options include The Dorrego Flea Market in Palermo, which has a variety of antiques and knickknacks and is a bit cheaper, or way of the beaten path on weekends is the Feria Delanticuario in the Barracas station of the Tren de la Costa in the suburbs close to the river. Artisan Fairs and Aboriginal products. Finally, if you’re looking for crafts, accessories and a rooted to the land feel, the city hosts various artisan fairs such as the Plaza Francia artisan fair in Recoleta (close by is also the Buenos Aires Design center in which you will also find some interesting interior design stores). Smaller artisan fairs, and also cheaper, can be found in Belgrano on Juramento and Obligado street, and in the suburbs, a little farther away but beautifully located in a park shaded by lush trees and next to a cathedral, is the San Isidro fair. Last but not least are two stores that sell aboriginal products such as ponchos, alpaca scarfs, pottery, purses and accessories that are made by the indigenas of the north, mainly the Wichis and commercialized by an asociation in Buenos Aires which aims at helping to sustain aboriginal communities. Not a bad option for great souvenirs. Barrio Norte: Paraguay and Marcelo T de Alvear at the Galeria Victoria. Belgrano: Vuelta de Obligado 1933 between Echeverria and Sucre. 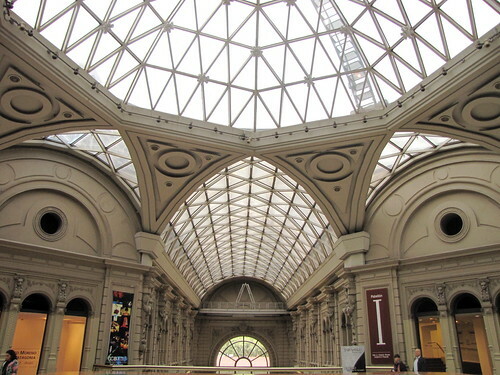 While in Buenos Aires you must visit the Museo de Arte decorativo, Palacio Errázuriz Alvear. A palace from the beginning of the 20th century for one of the wealthy families of Buenos Aires. Designed by French architect René Sergent in 1911 and built with European materials it is a great example of French architecture in Buenos Aires. It was acquired by the Estate in 1937 after the death of Josefina destined to be a museum. With its marvelous collection of paintings and sculptures both European and Oriental, it’s a great example of how this family lived and conceived life. Guided visits in English every day at 2pm are usually very private as not many people assist and if you are lucky they might even take you on the lift! Don´t miss the Great Hall and its marvelous staircase. January and february opens Tuesday through Saturday from 2pm until 7pm. A great map with shops, art galleries bars, restaurants and nightlife options in Palermo Hollywood and Soho! The natural reserve of Buenos Aires. I thought it would be great to show its size compared to Puerto Madero, the highrise area next to it. If you are staying in the area is a great option to run in the mornings. An old building on Costanera Norte on the River Plate. With no many fishermen nowadays this old English Style building was very fashinable back in its days. With an operating restaurants with great views it can give you an experience of Buenos Aires that is well off the beaten path.